Will I Ever Have Another Peaceful Breakfast? Standing up for yourself makes others aware of the circumstances and brings attention to "Bad Faith" behaviors. More than likely, you are not the first to experience it, but with support from others who also are standing up, it will happen to far less individuals in the future. Bullying as a topic is coming up frequently. As a country, individually, many know the trauma and toll it takes on person inflicted with harassment. The emotional and financial devastation this creates for disabled, which must be faced along with sickness or injury, sometimes becomes unbearable. Is it fair to place Disabled at the mercy of Insurance or Self-Insured Employers? Especially when they more than likely have investor's as a top priority, and their insured much lower typically, on the list? Harassment and intimidation of the disabled in order to reduce or eliminate Long-Term Disability Claims, in my opinion, is common by Insurance Companies and Self-Insured Employers to preserve investor's profits or employer insurance rates. This leaves many Disabled in despair and hopeless. Insured truly believe that if an unforeseen event happens, their safety net, Long-Term Disability or Auto Insurance can be depended upon to bridge the loss of work wages. What actually can happen? These companies can fight to keep your benefits and unfortunately win, leaving you out in the cold with creditors nipping at your heels. And your family terrorized, waiting for the next ax to fall. Or, Be Able To Cross Street By Myself? But, wasn't your insurance premium paid? Didn't you hold up your end of the bargain? So how did they get into a position which allows non-payment of benefits? Ask Congress. The question is how much lobbying has gone into making sure ERISA Legislation, passed by Congress, allows Self-Insured Employers an upper-hand against insureds? From my perspective, I suspect many deals are made. Way too many loopholes, in my opinion, and way too many are suffering. Bring awareness to your story. Share your experiences. Let Congress know of your hardships and shortages first hand. Share with other injured or sick people, that you too, have gotten the short end of the stick, so to speak. Are you tired of being stepped on? 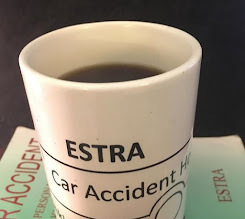 Been searching for information on how you can take a stand against harassment and intimidation by Insurance Companies and Self-Insured Employers under ERISA? Now you have a voice to share those experiences. 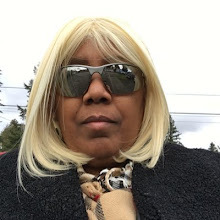 ESTRA has a new radio show on BlogTalkRadio, allowing you to do that. Come on the show this Saturday, September 29, 2012. You are important. Your story is important. A listener with experiences just like you would benefit from hearing your words. The numbers are in the millions so you are not alone. Come listen. Come talk. Where you can just be, yourself.